GTR is delighted to announce that the inaugural Southern Africa Trade & Infrastructure Finance Conference will take place at Victoria Falls, Zambia, on November 21-22, 2018. Examining the wealth of trade and infrastructure investment opportunities in markets including Zimbabwe, Zambia, Mozambique, Angola, Namibia and Botswana, a cutting edge programme will provide the latest business critical information on this exciting region. 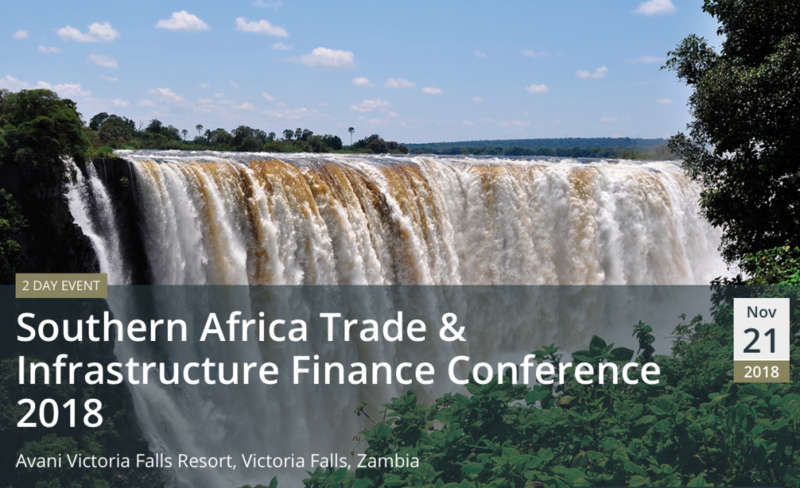 Featuring a speaker roster including sovereign and corporate borrowers, project sponsors, risk management experts and leading financiers, the discussion agenda will include key infrastructure projects and sectors, political and sovereign risk profiles, oil, metals and soft commodity market analysis, and the financing techniques and risk management structures being utilised to facilitate investment.